If you are looking for a great way to save money on the brake services that your vehicle needs, check out some of the many current specials offered by Dyer & Dyer Volvo today. The braking system in your Volvo is comprised of multiple components that are critical to your safe driving experience. These include the brake pads, drums, boosters, a push rod and more. Many drivers in the Chamblee area and beyond who are concerned about the condition of their car’s braking system may have noticed that their vehicle requires more time to slow down. Perhaps they hear a strange noise when they apply pressure to the brake pedal, such as grinding or screeching. While your Volvo’s braking system has been designed with exceptional quality and longevity in mind, your regular use of the vehicle can result in wear and tear. Scheduling a brake inspection with the service department at Dyer & Dyer Volvo is a smart and easy way to learn more about the condition of your braking system and about the necessary steps needed to ensure that you can safely drive your car going forward. Taking excellent care of your Volvo is a top priority for each member of our auto service department team. We proudly provide quality auto services to drivers throughout Chamblee and surrounding communities. We understand your need for quality work with fast results, and we will not let you down in either of these areas. 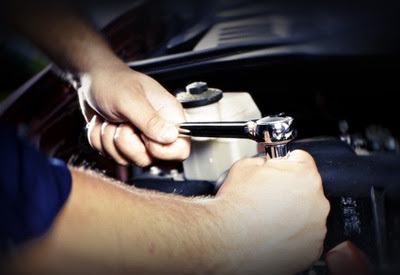 Each of our auto techs is certified and properly trained in all areas of vehicle maintenance and repair work. We have the tools, equipment, and knowledge necessary to diagnose and repair any issues with your braking system accurately. In fact, our vehicle maintenance and repair service knowledge is so extensive that we can complete any auto services that you have over the years. That includes automotive work on other makes and models. We combine our profound level of auto service expertise with a convenient location that is easy for Chamblee area drivers to reach. We also have extended business hours throughout most days of the week. The service center at Dyer & Dyer Volvo is one of several automotive maintenance and repair centers in the area that offer brake inspections and related repair work. In fact, some service centers specialize in brake services, and you may be inclined to take your Volvo to a specialty auto center. Remember that an essential component of quality service is in the parts that are used with the effort. There are two primary types of auto parts, and these are aftermarket and OEM parts. OEM means that the parts were manufactured by the maker of the original vehicle equipment. You can see that OEM parts generally have superior quality with exceptional longevity compared to aftermarket parts. Because we value our clients and want to provide excellent work for all auto services, we use OEM parts for all projects that we complete. 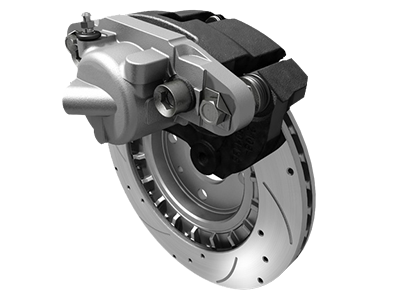 Your Volvo’s brake system is a critical component of your vehicle. You understandably want to identify issues at the first sign of trouble so that they can be repaired before they get out of hand. 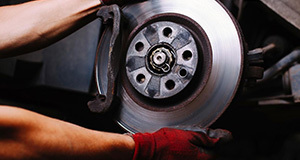 If you have noticed any signs of brake issues, schedule a brake inspection with our team at Dyer & Dyer Volvo. That is the first step to take to maintain or repair your vehicle as needed properly.